Because I am looking for urban spaces to discover by bicycle, I do make it my hobby to visit as just about every city and town within a hundred and fifty miles of Carrboro. I have not seen everything, for certain. I do not do a lot of background research on the places. I record my immediate impressions. 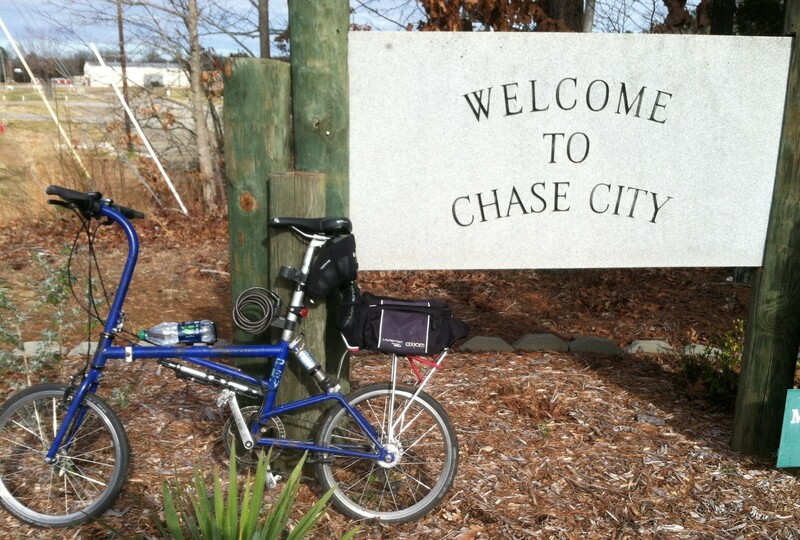 Having said that, Chase City, Virginia is unique. It is sixteen miles north of the North Carolina / Virginia line, about eighty miles from Carrboro I cannot recall visiting any town of this size and stature that is not served by any U.S. highway, not to mention not served by an Interstate highway. It is not served by any four lane road. It has no substantive suburban sprawl. There is no Wal Mart. It is at least an hour and a half to any major airport, in Raleigh/Durham, Richmond, Greensboro, or Roanoke. There are comparable North Carolina towns just over the state line, like Yanceyville and Roxboro. These towns have highway bypasses, which encouraged all the businesses to move out to strip malls on the outskirts of town. If you drive past Roxboro on the bypass, it looks hideous. Strip malls are replaced by new strip malls. In places like Roxboro, not only are the downtowns left empty, but many strip malls are left empty, rotting in the sun. In Chase City, the Hardee’s is right downtown, on the principal corner. Sitting there drinking my coffee, I realized that this Hardee’s was a genuine gathering place. Middle school age kids sat jammed into a booth on a Sunday afternoon, nursing sodas. Older adults lingered over their meals, and talked to others at different tables. I assume it is pretty much hopeless for towns to recruit the next large factory, now that mass production has moved to the Far East. 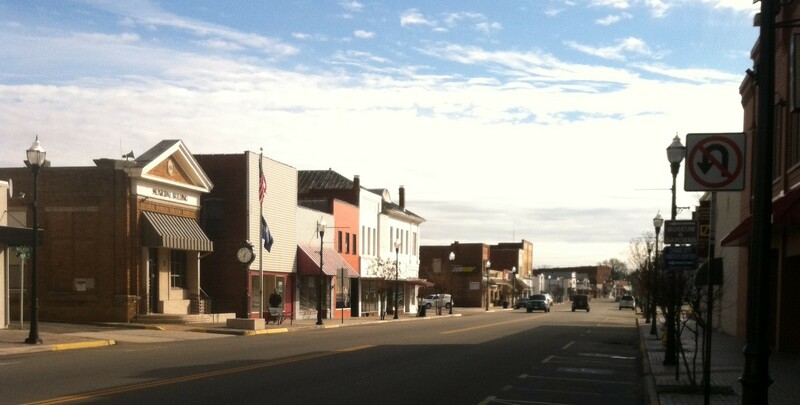 Towns only grow by building businesses themselves, and by attracting people and businesses in small increments. Young people want to move to downtown spaces.. I predict a future for this town. Maybe oddball artists will start moving here, a la Marfa, Texas. On the other end of the spectrum, maybe pretentious rich people will start building more estates in the countryside and use this town as their base. Maybe some religious group will put their next institution here, like Liberty University has done in Lynchburg. This town is too unspoiled, and in too nice a location, to remain undiscovered forever. I only hope when the odd state legislator starts pushing for a bypass, or Wal Mart comes calling, Chase City will realize what a special place it is.